So you only have 1 day to see all that Charlotte has to offer? No worries, we've got you covered! This high-tech venue, designed to educate and entertain race fans and non-fans alike, showcases artifacts, interactive exhibits, a 275-person multi-dimensional theater, a Buffalo Wild Wings restaurant, alongside a NASCAR Hall of Fame Gear Shop and NASCAR Media Group-operated TV and radio broadcast studio. 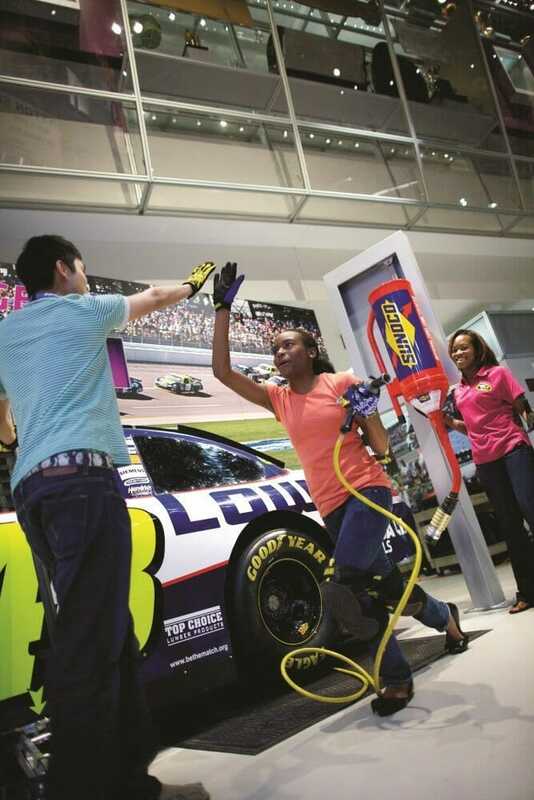 Guests revving to visit the NASCAR Hall of Fame will find nearly 40,000 square feet of exhibit space exhibiting highly-interactive, hands-on exhibits, moving memorials, educational learning opportunities and hundreds of authentic artifacts telling the story of NASCAR. When your student group visits Charlotte, a stop by the Daniel Stowe Botanical Garden is highly recommended for both education and relaxing enjoyment. The Daniel Stowe Botanical Garden is part nature preserve and part showcase for the best of Southern horticulture, with over 110 cultivated acres. What better way to get exercise, take in the local nature scene, and get some horticultural education along the way? The Levine Museum of the New South is one of the most insightful and educational museums to visit with your students while in Charlotte, this history museum putting a focus on life in the North Carolina Piedmont area in the post-civil war era. Inside you will find several interactive exhibits explaining the 'sights, sounds, and ideas that illumine and enliven this history', the current exhibits being Cotton Fields to Skyscrapers, K(no)w Justice K(no)w Peace, Splendid Service:Camp Greene and the Making of News City, and Let Love Rain. One of the Carolina's most visited attractions and one of the top science museums in the nation, Discovery Place has unveiled a complete transformation of its wondrous halls, filling the museum with all-new interactive exhibitions and amazing activities. From nature to neurons and birds to beakers, science is in your hands at Discovery Place.